Box CEO Aaron Levie was in a chatty mood over lunch following his appearance at D: All Things Digital with Cisco Systems CEO John Chambers earlier today. With Box quickly turning into one of the most anticipated IPOs expected next year, there are a lot of questions about the enterprise cloud company’s financial picture. So I caught him on the buffet line and peppered him with a few questions. 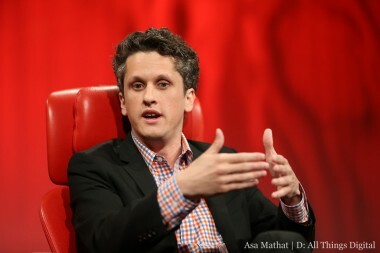 Levie told me that Box is on track to book more than $100 million in revenue this year. And it’s not hurting for cash. Box still has most — but not all — of the $150 million it raised in a series E round of funding earlier this year still in the bank. That round was led by private equity firm General Atlantic and was first announced at $125 million last summer, but grew to $150 million by January. I’d heard recently from an industry source that Box is burning through cash at a rate of about $8 million per month. Levie wouldn’t confirm a specific number, but said Box’s burn rate is easily “seven figures per month” and tends to rise and fall depending on what’s going on at the company month to month. What’s Box’s biggest expense? Surprisingly, not infrastructure and IT gear, despite the fact that it has been in the past: Now it’s sales and marketing. “I need to hire sales teams that can get enterprise deals done,” Levie said. 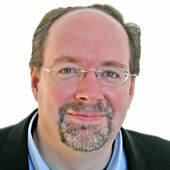 The company has recently been hiring aggressively and expanding into Europe. It also opened a sales office in London recently, taking advantage of declining IT budgets at companies on that continent by offering them cost-saving storage and collaboration services in the cloud. Who knows what that means? But one thing is certain: Box was at least part of the reason that Dell grew its unit sales of servers by more than 2 percent in the first quarter of the year, according to the latest look at server sales by the market research firm Gartner, whose findings were published today. Confirming preliminary numbers that Dell himself was bragging about publicly weeks ago, HP’s unit sales fell by more than 15 percent. Its share of the market, which still leads the world, stood at 24.9 percent while Dell’s rose to 22.9 percent.